Today's post is inspired by this article: The Overprotected Kid. It is a long read, but I found it fascinating. I am mostly referring to the first section of it today anyway, but do yourself a favor and look through all the photos of The Land all the way through. I'm terrified of losing my children and we've moved quite a bit since my littles were born... so I'm not comfortable with letting them freely explore the neighborhood alone (at 4 and 2yo). But... I love the idea of "The Land" in this article. I want to find a way to make risks available to my daughter (and my son)... in a safe enough way to comfort Dad's worry (and mine, though mine doesn't seem to be as strong). I find myself wondering what sort of "junk" I might be able to find for free on Craigslist or Freecycle.. tires? pallets? We have some boards back there... When I was a kid we rode our bikes down to a carpet place in the neighborhood and raided their dumpster for scraps. We had a carpeted tree-house! What random stuff could you imagine stocking in your yard for more exploratory play? I will say (and almost "in my defense," as if such a thing is necessary) that since we moved Sasha gets SO much more outdoor time. We have a fenced back yard now so she is allowed to go out there and explore and play to her heart's content. I prefer to keep a door open where I can hear her, especially since the door is stiff and she can't open it herself. I've relaxed more and more, though, and don't feel the need to have my eyes on her at all times. I even caught my teenager telling her not to go behind the shed. Um... why? I told her to go ahead if she wanted. She's been back there before. There are no extra risks back there, its just out of sight. What have I done to my oldest? She worries over her siblings far too much. How free do you allow your children to be? How free is too free? And I'm totally serious about suggestions for "junk" to put in our back yard! I only wonder if I can refrain from showing my children what can be done with some pallets, boards and sheets... and just let them discover on their own! I've really been wanting a mud hole for them out there, too! My husband is a total Movie Junkie. When we first got together, it was nothing to curl up on the couch and spend an entire weekend watching a series of movies. I'm an easy audience, so it was a nice way to spend our time together. Then we had kids. Sure, we can and do use subtitles, but... its really hard to pay attention to a movie with children under foot, as it were. We recently moved and now the main television is in our bedroom. That means its even harder for me to join him, but it also means the kids aren't noisy around the television when he is watching a movie. No more expecting anyone to stay quiet in the main family room! It has been so cold so much of the time, but it is finally starting to warm up and I'm looking forward to returning to our new hobby! I wanted to take up geocaching for years and finally did last Summer! Now this is a hobby the family can get into together! It gets us outdoors, exploring new parks and areas. I like to think it challenges the way we see things and think about them - in order to find something that someone has hidden. We've even hidden one cache of our own in a sentimental place. Do you have a hobby you prefer to keep to yourself? How about one to share with others? 8 Reasons to Go Camping with Your Kids — The weather is warmer, and it is time to think about taking a break. 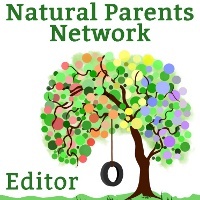 As you plan your family vacation, Mandy of Living Peacefully with Children, guest posting at Natural Parents Network, explains why you should consider hitting the trails with your kids. Crafty Cohorts — Kellie at Our Mindful Life enjoys crafting with her kids, and the skills they are learning. 10 Hobbies For Families With Young Children — Jennifer at Hybrid Rasta Mama knows that finding hobbies families can do together (with young children in tow) isn't always the easiest of feats. She has compiled a list of 10 family friendly hobbies that children of all ages can enjoy and that won't break the bank! Helping Himawari — Sophelia's family at Sophelia's Adventures in Japan share a passion for helping when a dog is abandoned at the nearby elementary school. The 'Art' of Having Fun — Marija Smits shares some thoughts on family art and fun. How we made our own Family Day — Lauren at Hobo Mama shares how her family celebrates the best day of the week, a chance for connection and adventure and endless possibilities: Family Day! Our Family Hobby — Survivor talks about how animal husbandry has become her family's favorite hobby at Surviving Mexico Adventures and Disasters. Sowing the Seeds of Passions — Christy at Eco Journey In The Burbs wonders if her interests, and her husband's, will shape her children's passions as they mature. Harry Potter Potions Party — One of the best activities Dionna at Code Name: Mama has ever done with her family has been a Harry Potter Potions Party. She is sharing the resources she used to create their potion recipes, the ingredients and tools they experimented with, and the recipes themselves. Feel free to use and adapt for your own budding wizards and witches! Pastimes Have Passed Me By — Kati at The Best Things takes a new perspective on projects that never get done. Food as a cultural experience for preschoolers — Nathalie at Kampuchea Crossings finds that food is a good way to engage her preschoolers on a journey of cultural discovery. 10 Reasons I Love Thrifting With My Children — That Mama Gretchen has always enjoyed shopping, but with a growing family she's become more frugal and thus, her little ones are now in tow on her thrift store adventures. Pastime with Family vs Family Pastime — You can share lots of pastimes with your family, but Jorje of Momma Jorje discovered a family pastime was much more pleasant for sharing.